Hexamethylenetetramine or methenamine is a heterocyclic organic compound with the formula C6H12N4. This white crystalline compound is highly soluble in water and polar organic solvents. It has a cage-like structure similar to adamantane. It is useful in the synthesis of other chemical compounds, e.g., plastics, pharmaceuticals, rubber additives. It sublimes in vacuum at 280 °C. Hexamethylenetetramine is prepared industrially by reacting formaldehyde and ammonia. The reaction can be conducted in gas phase and in solution. Synonyms Methenamine; HMT; HMTA; Hexamine; 1,3,5,7-tetraaza adamantane; Hexamethylenamine; Aminoform; Ammoform; Cystamin; Cystogen; Formin; Uritone; Urotropin. Hazardous Waste ID No. Not applicable. Description White crystalline odorless solid. * Hexamine content will vary based on stabilizer’s content. 2 Stabilizer content as per party’s requirement (1.00 – 3.00 %). Other stabilizers eg. 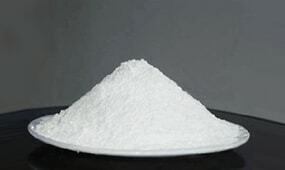 Benzoic acid, Aluminium silicate could also be used based on specific process requirements. Pulverized grade material, mesh size 100 – 240 BSS, could also be supplied to specific customers as per their requirements. Packaging 25 / 50 kg. HDPE bags with loose polythene liner inside. One of the major uses of Hexamine is in the manufacture of dinitrosopentamethylene-tetramine, a blowing agent for rubber. It is used as a catalyst in the manufacture of Bakelite phenol formaldehyde molding powders. It is used as a basic raw material in slurry explosives. It has many other applications in the manufacture of plastics, paints, foundry resins, textiles, plywood, laminated sheets, cement, fertilizers, pesticides, solid fuel tablets etc. Unstabilized Hexamine is used in adhesives, coatings and sealing compounds, in the preservation of hides, as cross-linking agent for hardening phenol-formaldehyde resins and vulcanizing rubber, as corrosion inhibitor for steel, as dye fixative, as fuel tablets for camping stoves, as stabilizer for lubricating and insulating oils, for manufacture of explosives, chemical detection of metals and as an urinary antiseptic. 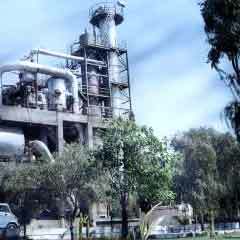 Stabilized Hexamine is used in process industry, as per the requirements of specific customers.